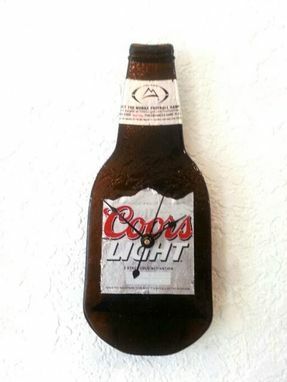 The Coors Light bottle clock is perfect for any den or bar, or any space that needs a touch of manly manliness. 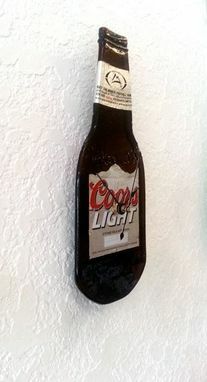 The dark amber of the flattened beer bottle and the white Coors Light label serve up visual appeal, while the basic black clock hands make it easy to read the time even if you're way across the room. 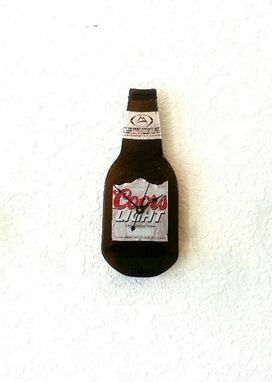 This handmade bottle clock measures 9'' in height and 3 1/2'' in length.